DLK on Avenue is proud to offer a safe and effective solution for cystic acne and pre-cancerous lesions. A prescription drug is combined with a blue light laser photodynamic therapy illuminator, and is an effective treatment for reducing oil production and eliminating acne bacteria in the skin and for precancerous cells by destroying damaged cells in the skin. Combined with a light source, the prescription medication is applied directly to the target skin areas by dabbing with a wet applicator tip. A light or laser source is then used to activate the drug, and the targeted cells are destroyed. DLK Photodynamic Therapy (PDT) is used to treat sun damage, aging skin and acne. The treatment utilizes a drug with Amino Levulinic Acid (ALA,) and a light source – either blue light laser light or Intense Pulsed Light. Improvement in colour, texture, tone and noticeable results after one treatment. A liquid drug is applied painlessly to the skin. During this time the patient lies on a comfortable bed for the duration of the incubation period which is usually between 30-60 minutes. After this time, the area is illuminated with a light source, either the blue light laser or IPL which requires about 10 to 20 minutes. During Protective eyewear is worn during the light. The effect of this drug lasts 48 hours therefore treated areas must be protected from the sun with a wide-brimmed hat, sunblock and avoidance of the sun. Treatment is repeated in 2-4 weeks and a series of treatment is usually recommended for maximum results. DLK’s Photodynamic Therapy is a non-surgical technique using a topical photosensitizer of 20% Aminolevulinic Acid. 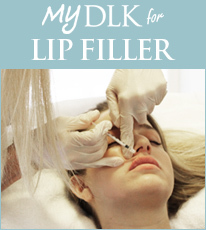 During this advanced technique, the drug is combined with the DLK blue light laser treatment or the DLK Intense Pulsed Light (IPL) Treatment. It can be applied directly on particular lesions or to an entire area. The blue light laser system consists of a high intensity, narrow-band blue light. This pain-free light is safe and uses no ultra-violet (UV) light. The IPL light source and laser device is state-of-the-art and is also used to activate the photodynamic drug. When the blue light laser or IPL is used to treat acne, p. acnes acne-causing bacteria is destroyed. The drug is selectively concentrated in precancerous cells and damaged cells. Thus, when using blue light laser and IPL these abnormal cells are destroyed. Patients may require antiviral pills the night prior, and day of the treatment. This is a precaution as infection can interfere with good wound healing. There will be some redness which varies from pink to very red. Patients must avoid sunlight after treatment to minimize the reaction. The effect of the treatment lasts for 48 hours after application. Therefore, it is important that for these 48 hours the treated areas are protected from the sun with a wide-brimmed hat, sunblock and avoidance of the sun. Sunblock alone is not enough for adequate protection. Patients with severe sun damaged skin manifested by actinic keratosis may see excellent results. You may also see improvement of large pores and pitted acne scars. Active acne can improve dramatically and may be combined with medical-grade skincare. It takes approximately 3-6 treatments to see maximum results.